Alexander Payne is that rare breed of filmmaker who enjoys the privilege of being able to tell the stories he wants to tell, seemingly devoid of any outside influences or expectations. As such, Payne has produced a series of intelligent, amusing and highly regarded films that have, quite rightly, earned him a reputation as one of the most interesting and intelligent of the current batch of independent filmmakers. Certainly his achievements are proof positive that there is a demand for films that privilege substance over spectacle. With the likes of Election, Sideways and The Descendants, Payne has produced quirky yet engaging explorations of flawed characters that are as entertaining as they are insightful about the human psyche. With Nebraska, Payne continues in this tradition as he tracks the journey of Woody Grant in his efforts to claim a million dollar sweepstakes prize, much to the chagrin of his family. 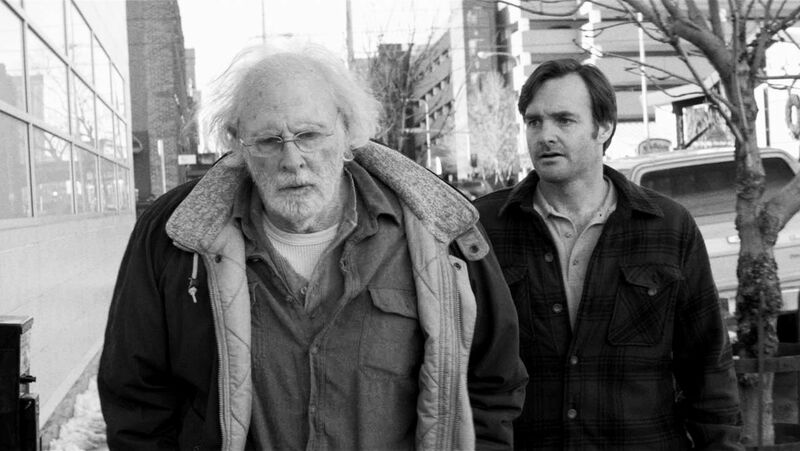 Refusing to believe that the sweepstakes win is a hoax and unwilling to trust the Postal Service with his sweepstakes ticket, the elderly Woody (Bruce Dern) sets out on foot to make the 700 mile trip from his home in Billings, Montana to Lincoln, Nebraska to claim his prize. Whilst Woody’s wife Kate (June Squibb) and oldest son Ross (Bob Odenkirk) are derisive of his plans, youngest son David (Will Forte) – looking for a distraction after breaking up with his girlfriend – offers to drive his father to Lincoln. With a mind addled by a lifetime of alcohol consumption and a gruff indifference to David’s generosity, Woody is very hard to like for a good portion of the film. However, you always sense there is something lying under the surface and, when the pair stopover in Woody’s hometown, David develops a better understanding of his father’s history. Payne presents a reverential rendering of small town America in decline and, whilst the ragtag mob of friends and family with whom Woody reunites do provide some genuinely funny moments, Payne never draws on their plight as victims of a declining economy for the humour. In fact, through characters such as newspaper editor Peg Nagy (Angela McEwan), Payne celebrates the optimism and doggedness of those determined to survive against the odds. Nebraska is very much a film about men; particularly the way in which men communicate with each other and the people in their lives. Woody utters very few words to David for much of their trip and the interactions between Woody and his family rarely comprise anything more than a mono-syllabic greeting and a nod of the head. Kate is the polar opposite of her husband, delivering a non-stop commentary on everything that is wrong with everybody, with most of her derision directed at her husband and his family and friends. At first she comes across as mean spirited and shrill before you eventually realise that her attitude is a reaction to both the way Woody has been treated by all and sundry and the way Woody has allowed himself to be treated. As such, Stacy Keach is terrific as Ed Pegram, a former business partner and so-called friend who is far removed from the romanticised recollections harboured by Woody. Dern is very impressive as the curmudgeonly Woody in a performance that is as much as about movement and silence as it is about anything he says. He effectively portrays Woody as a taciturn yet fragile being full of regret for lost opportunities and for his failings as a father and husband. 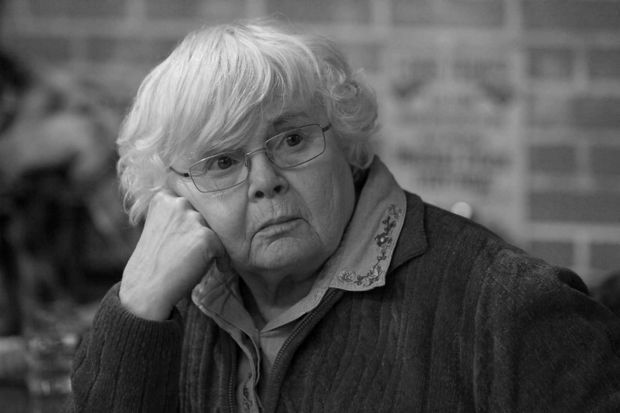 Squibb also excels as the put-upon Kate, the loyal wife whose incessant banter and reproaches of almost everybody are borne equally from love and frustration. The crisp black and white cinematography is beautiful, harking back to other classic riffs on small town life such as Peter Bogdanovich’s 1971 classic The Last Picture Show. 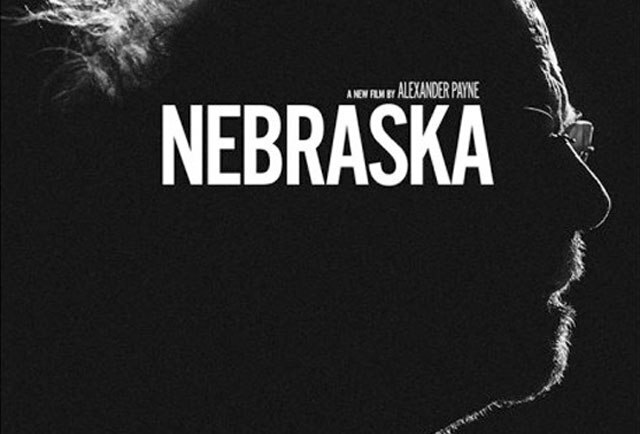 Payne’s unwillingness to toe the line with regard to mainstream conventions ensures that Nebraska is a paean to aspects of contemporary American culture that are rarely explored on screen. Visually stunning and with strong performances from the leads, a visit to Nebraska is one certainly worth making.